For the prevention of travel sickness. Hyoscine Hydrobromide 300µg, Mannitol (E421), Potato Starch, Gelatin Powder, Aluminium Stearate, Saccharin Sodium (E954), Ferric Oxide (E172). 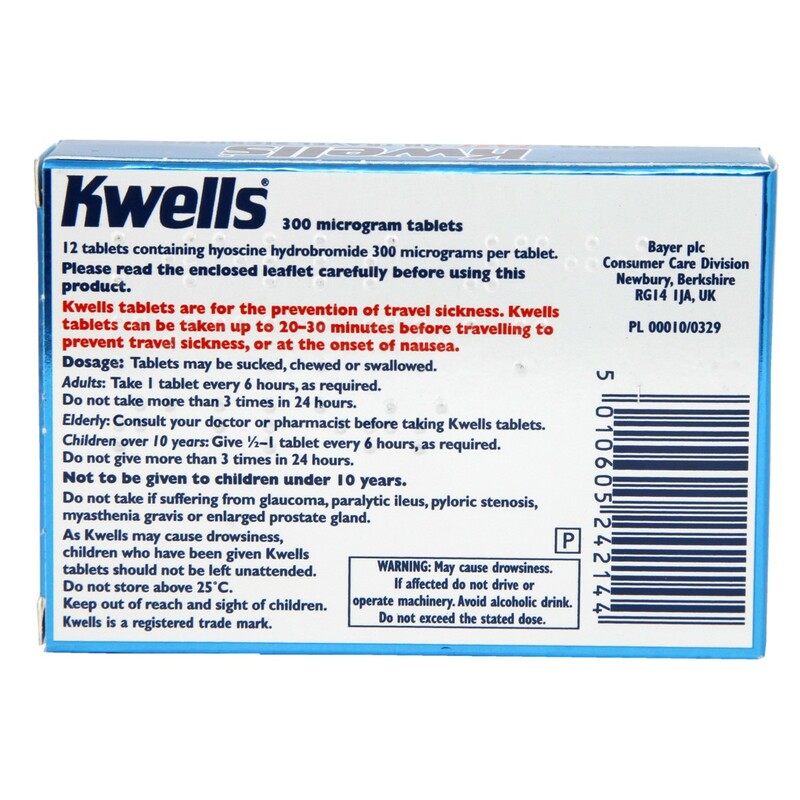 Tablets to be taken 20-30 minutes before the start of the journey to prevent travel sickness, or at the onset of nausea.Adults: 1 tablet every 6 hours if required.Maximum 3 tablets in 24 hours.Children over 10 years: half-1 tablet every 6 hours if required.Maximum one and a half-3 tablets in 24 hours.Under 10 years: not recommended. 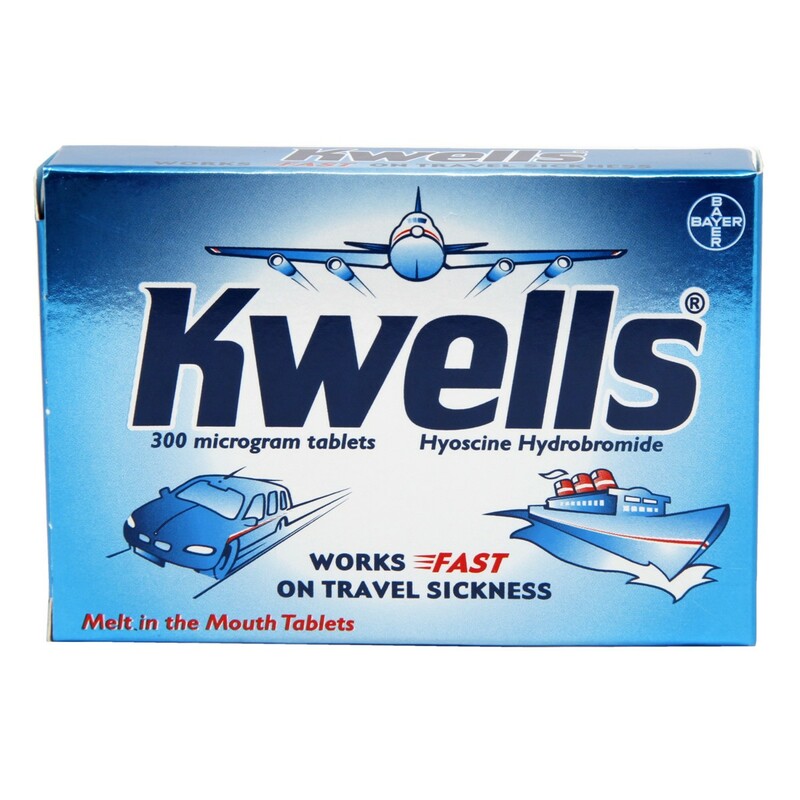 Thank you for your interest in Kwells Tablets. Enter your email and we'll contact you as soon as it's available again.